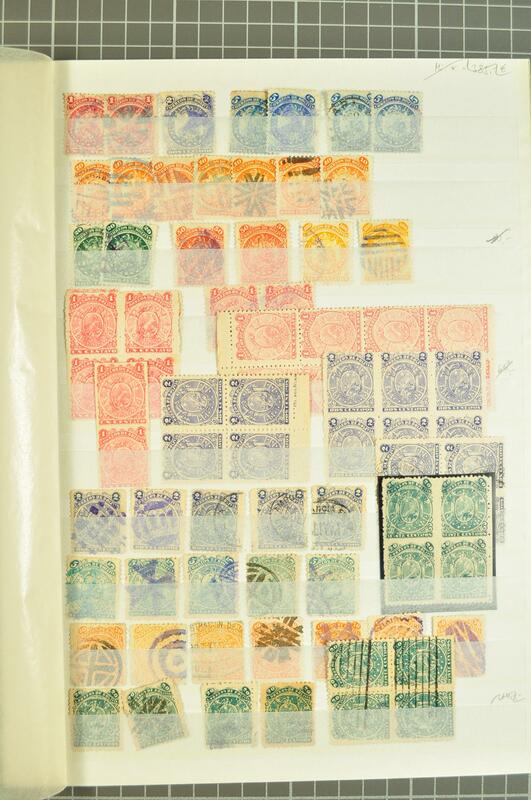 1890/94: Collection on leaves with 9 Stars group including 50 c. red perf. 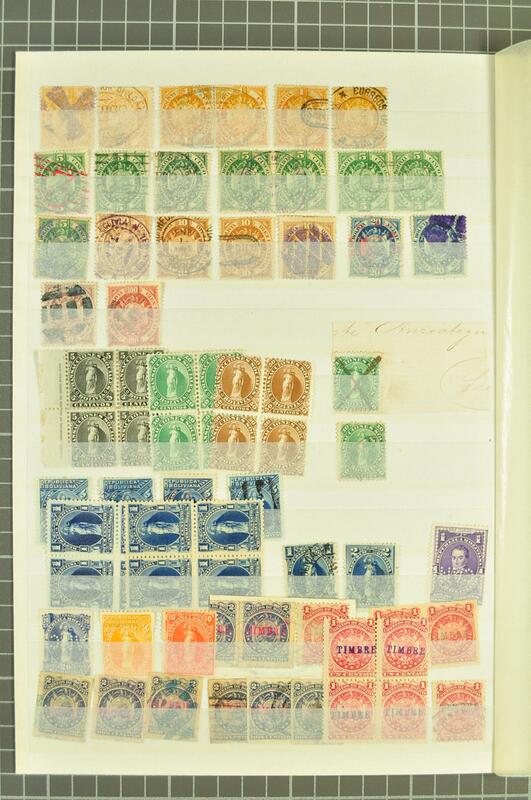 'Cancelled' and 100 c. yellow used (2), 1893 Litho printing 1 c. rose and 2 c. violet in unused blocks and 1 c. rose in imperforate vertical pair, 20 c. darek green in an impereforate betweeen block of four (Scott = $ 400), 1894 Coat of Arms Bradbury Wilkinson imperforate Proofs of Paris printing for 5 c. green, 20 c. blue (two shades) and 50 c. dull brownish claret (cert. 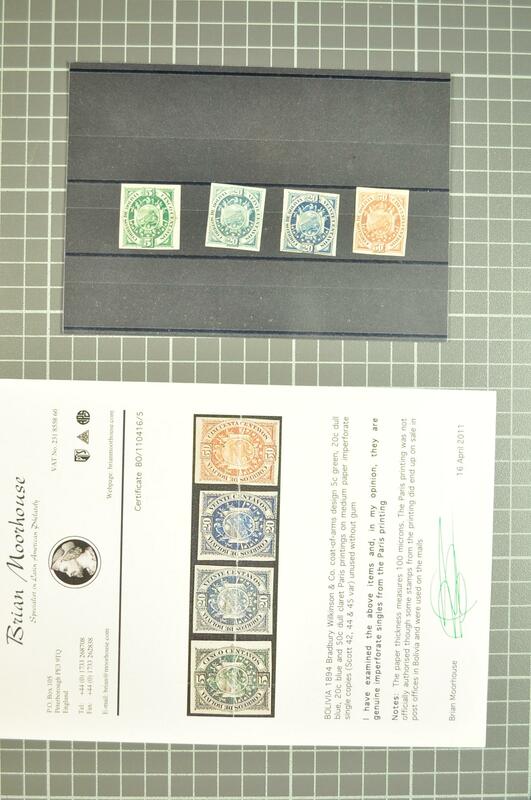 Moorhouse, 2011) and some used examples with genuine cancellations, and a range of Fiscals.